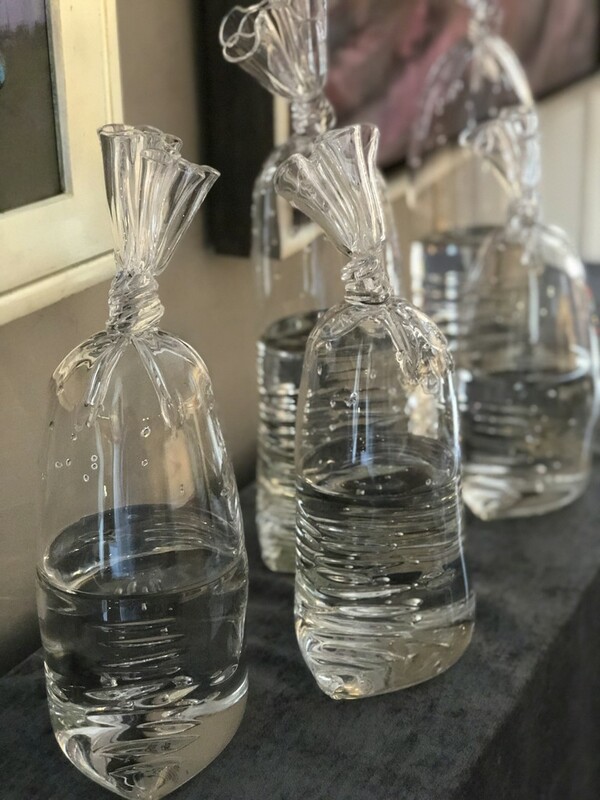 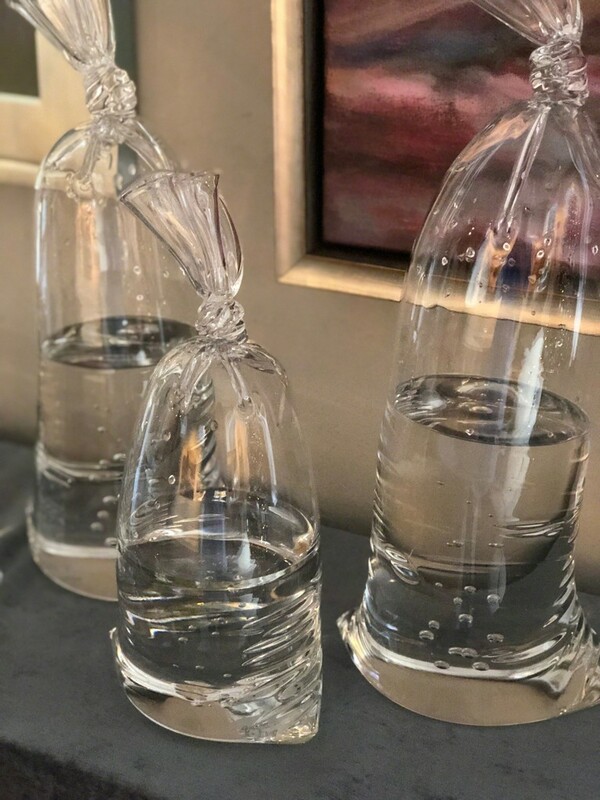 Water: The dictionary defines it as “a colorless, transparent, odorless, tasteless liquid.” But water is also a powerful and dangerous force; a way to cool off in the hot summer; a tourist’s bait; free; exclusive; undersupplied; taken for granted; a necessity for living. 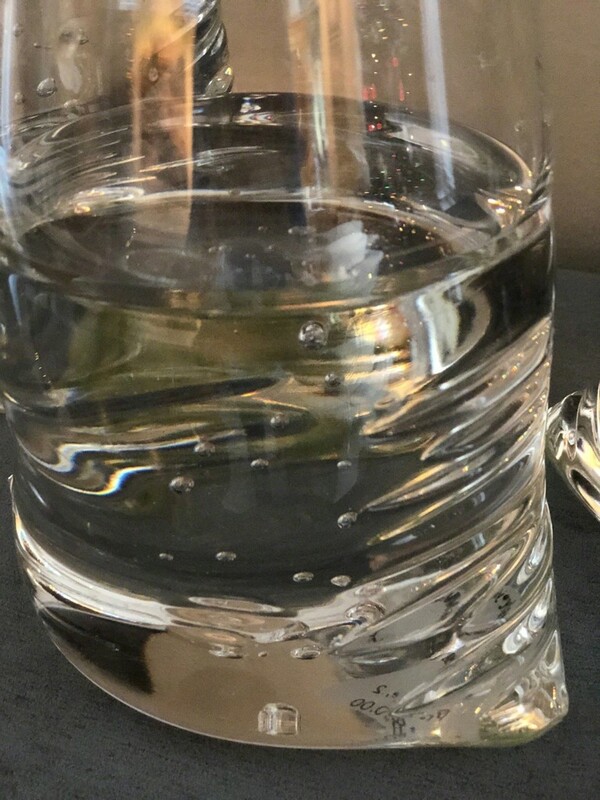 Water: The dictionary defines it as “a colorless, transparent, odorless, tasteless liquid.” But water is also a powerful and dangerous force; a way to cool off in the hot summer; a tourist’s bait; free; exclusive; undersupplied; taken for granted; a necessity for living. 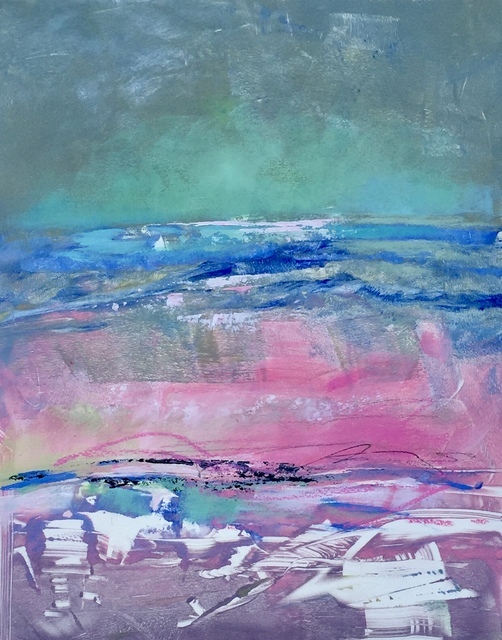 In this group exhibition, artists take their inspiration from the complex element of H20. 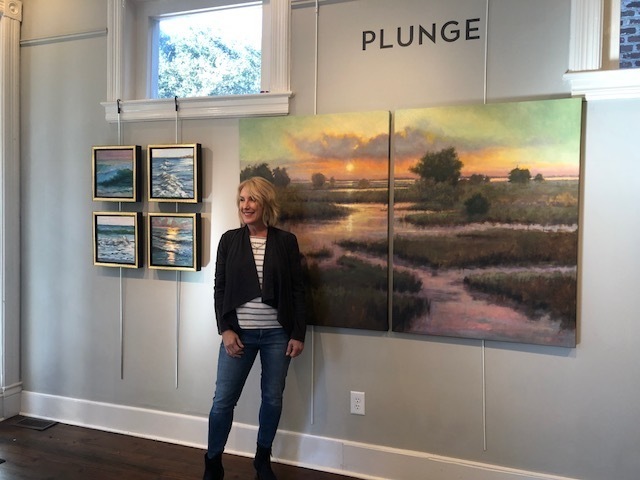 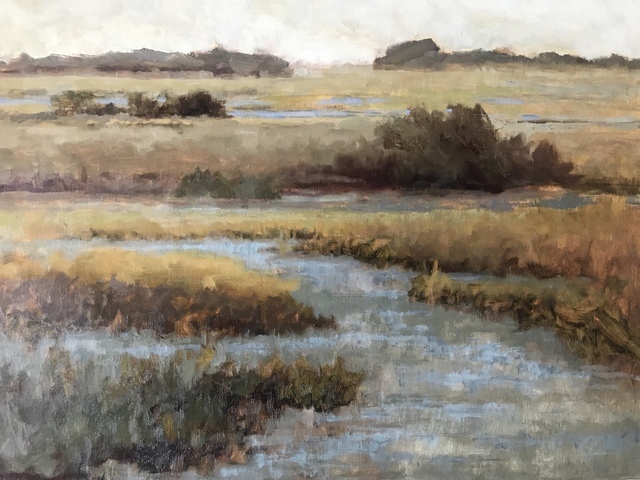 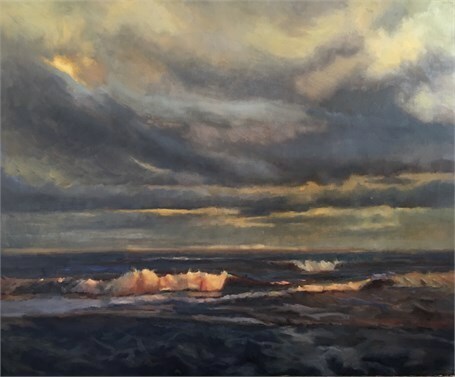 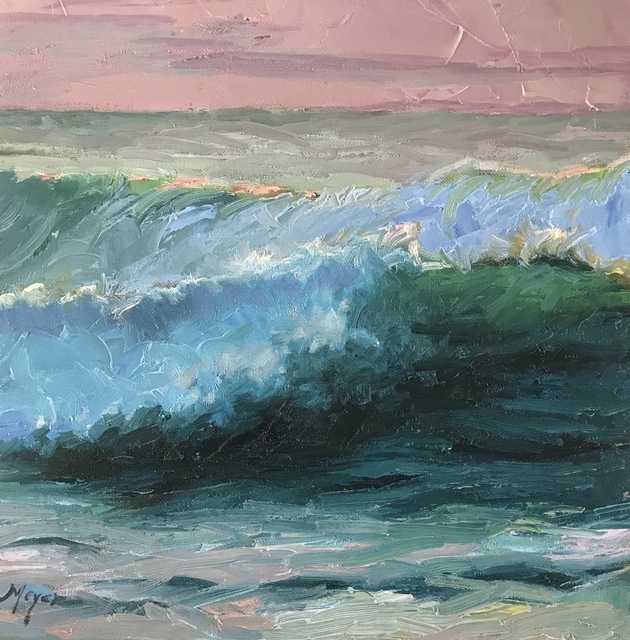 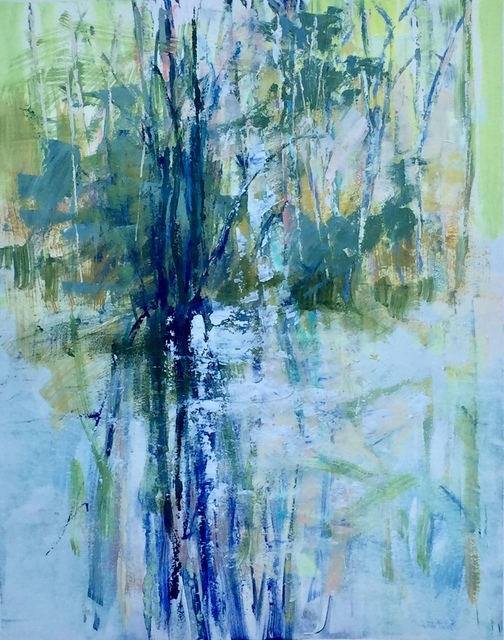 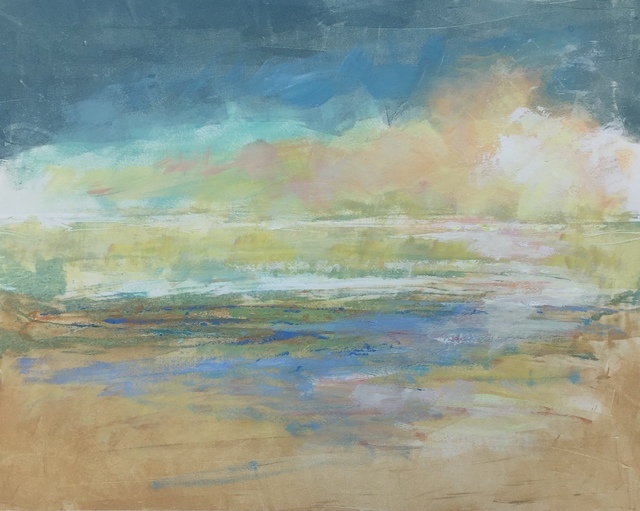 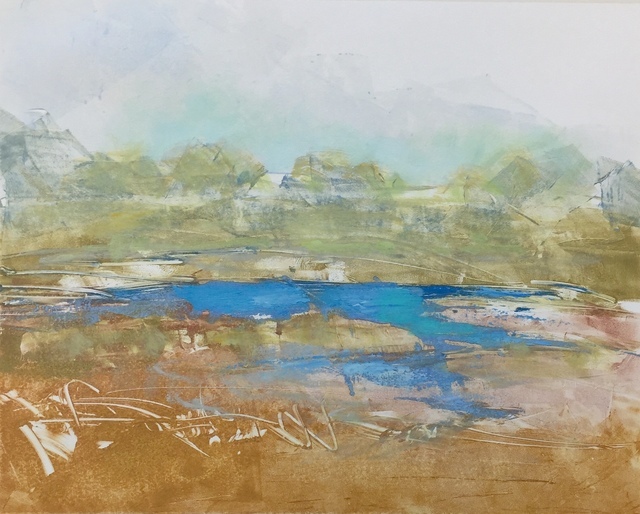 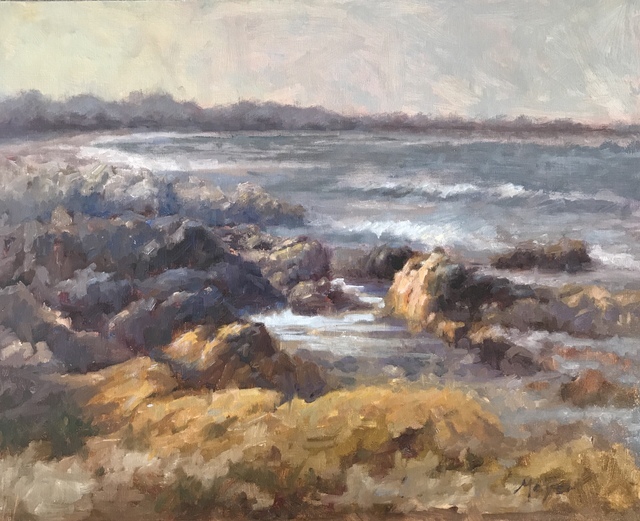 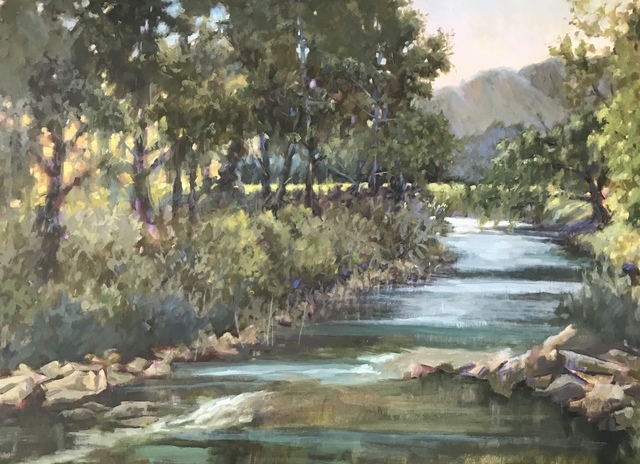 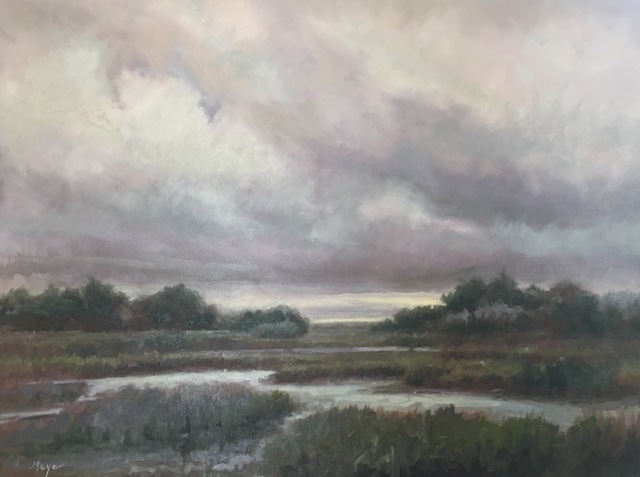 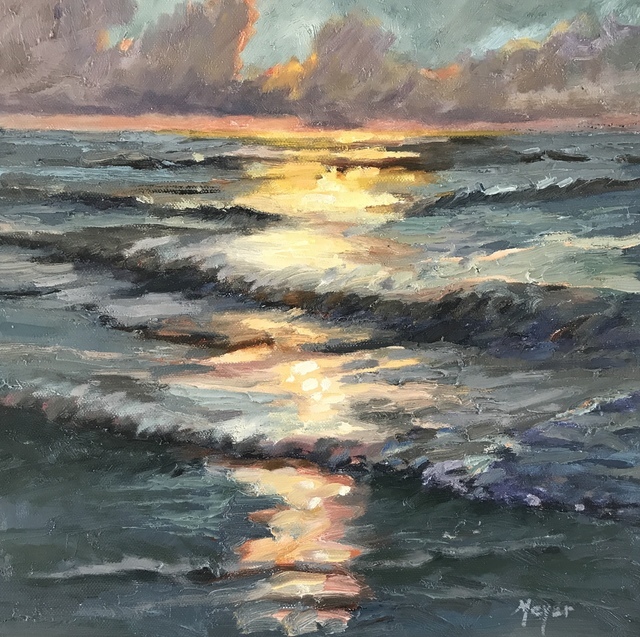 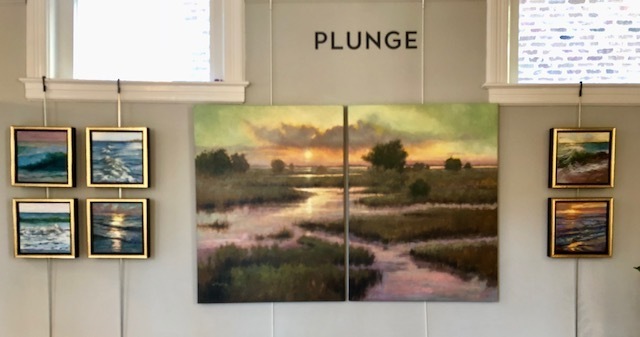 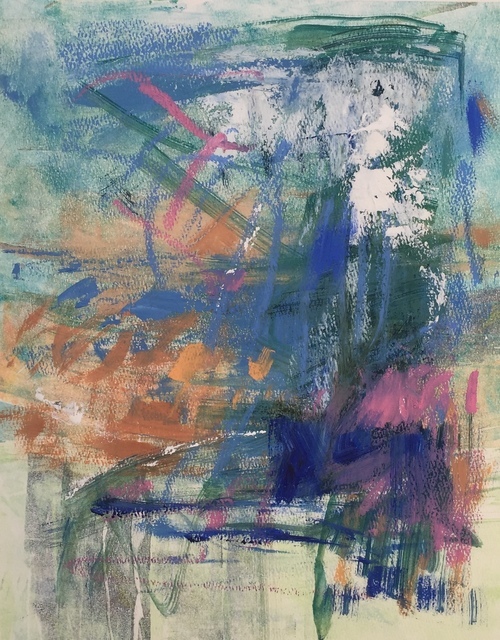 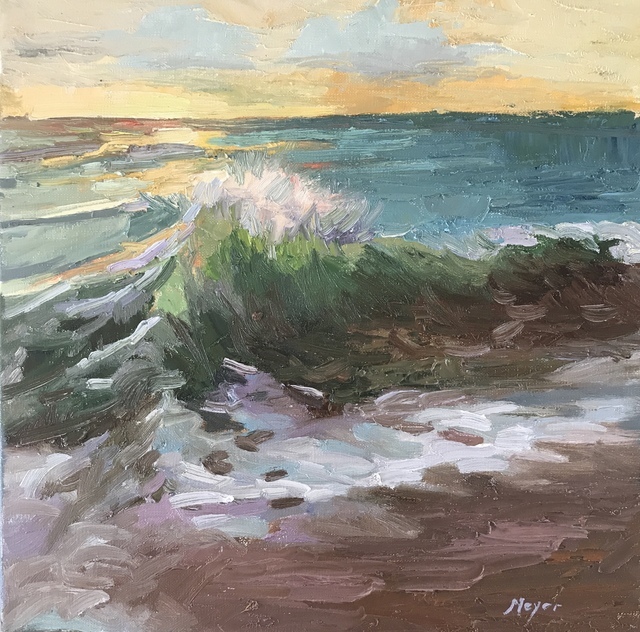 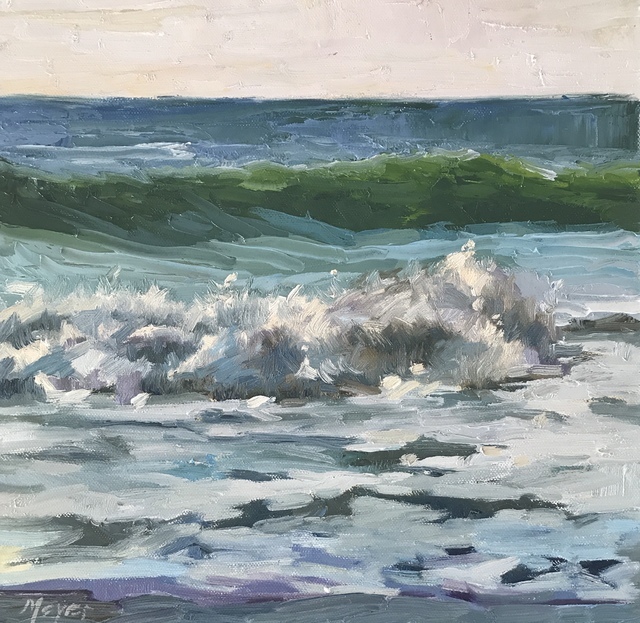 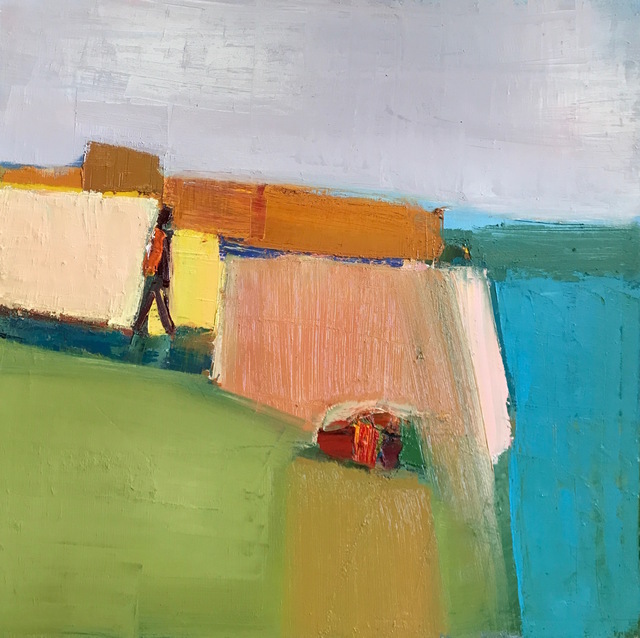 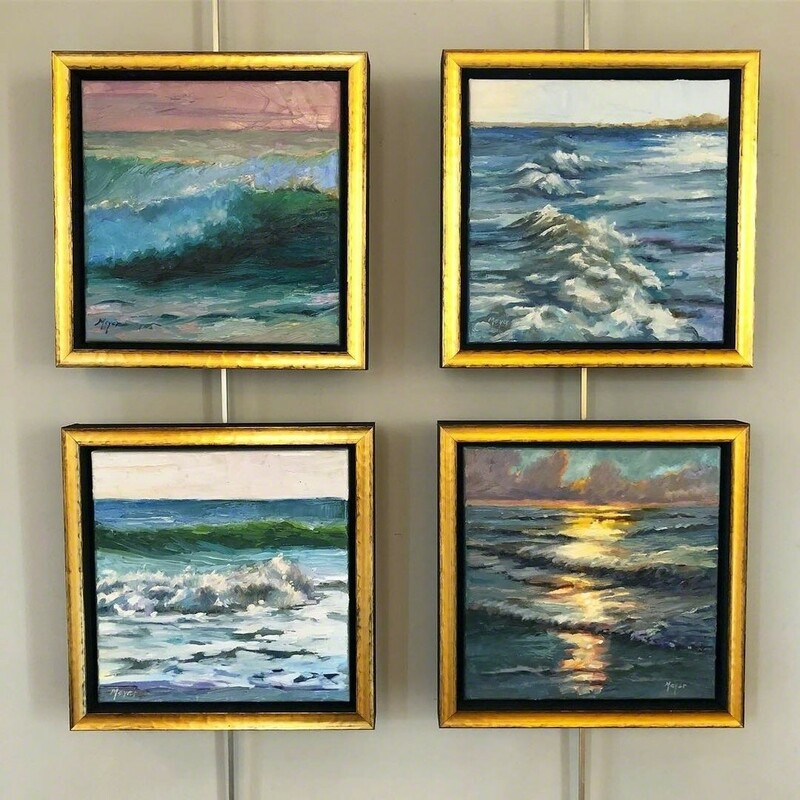 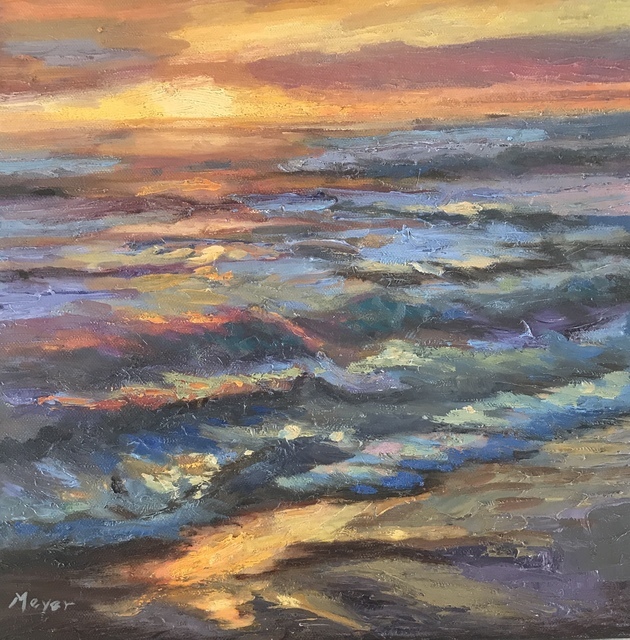 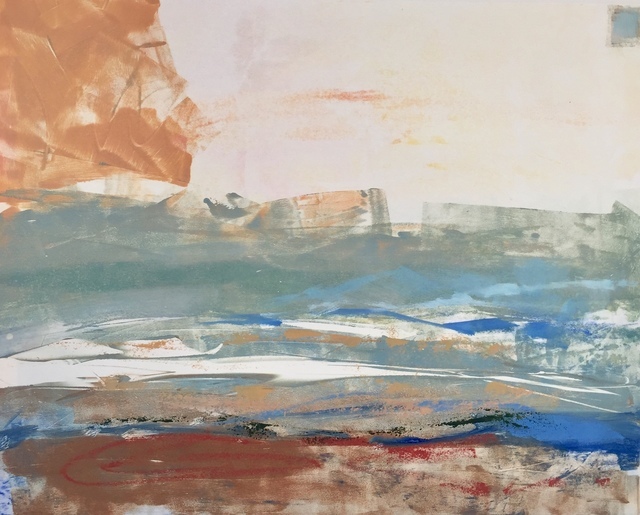 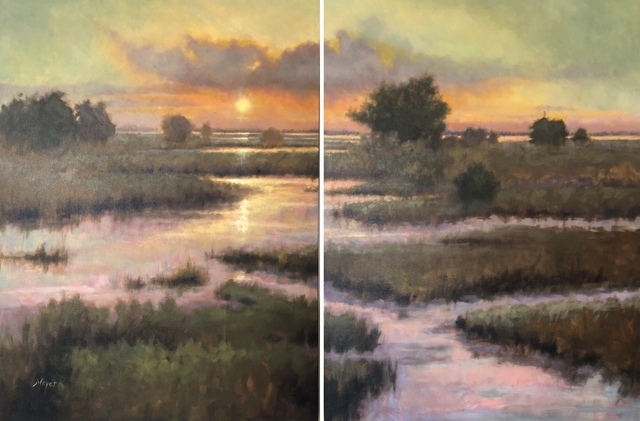 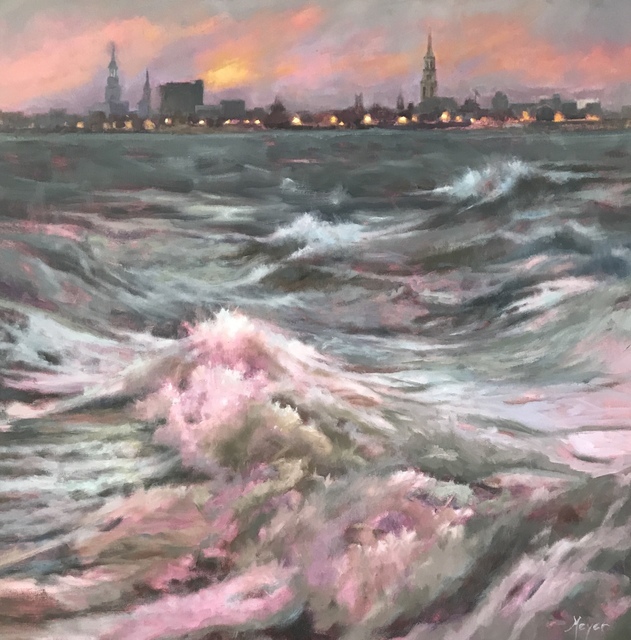 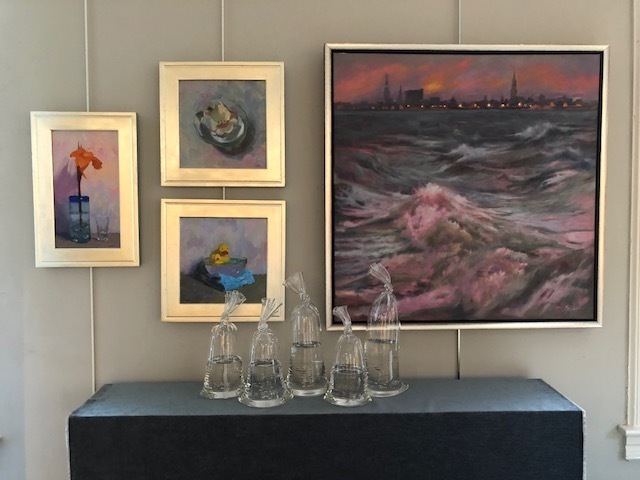 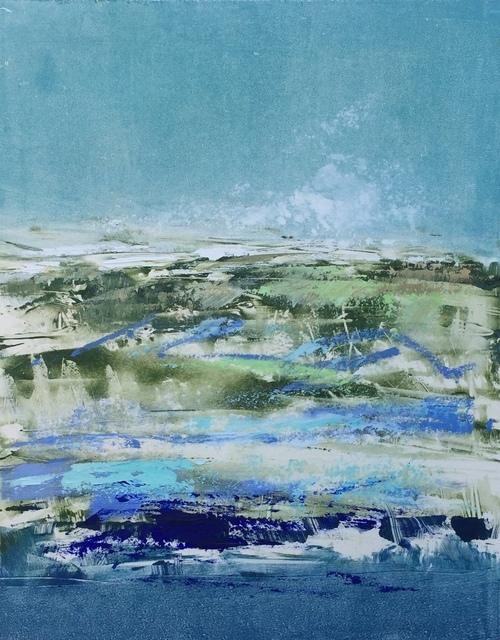 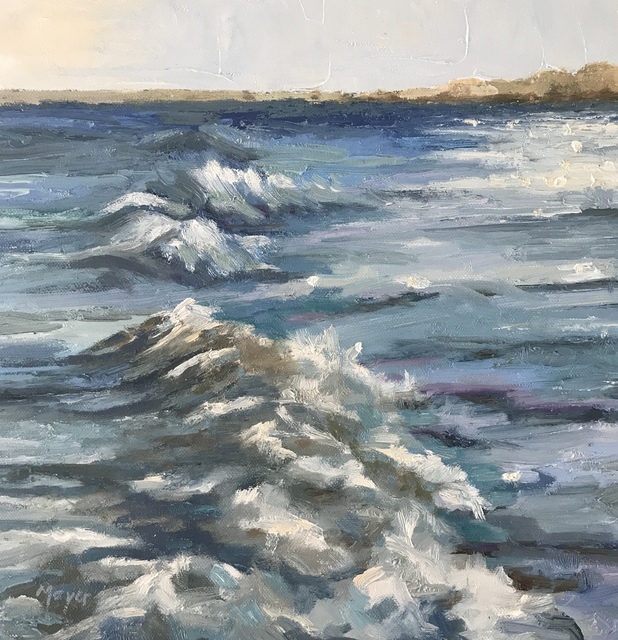 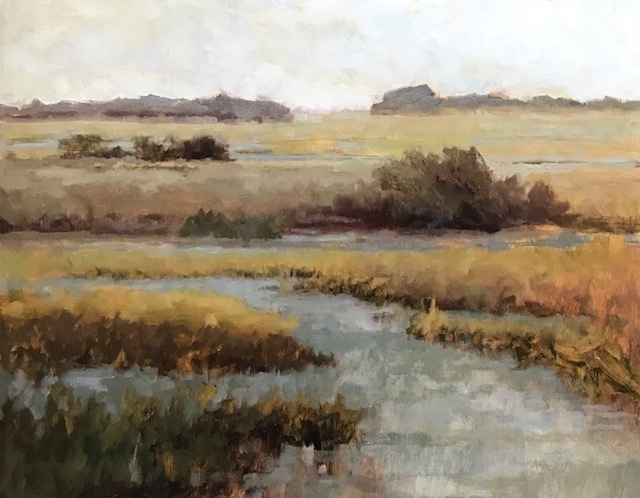 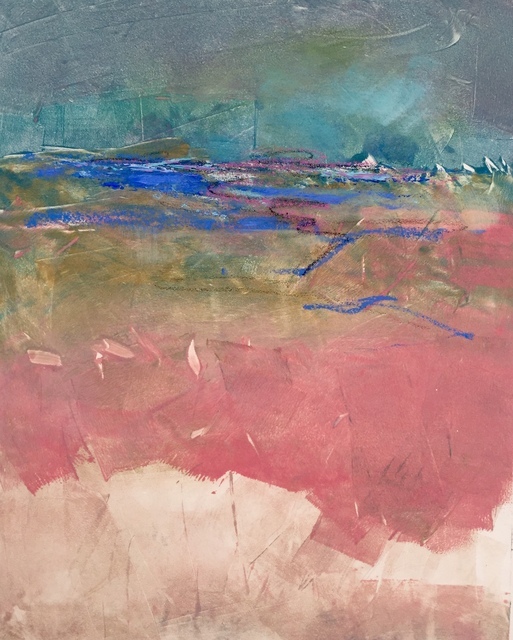 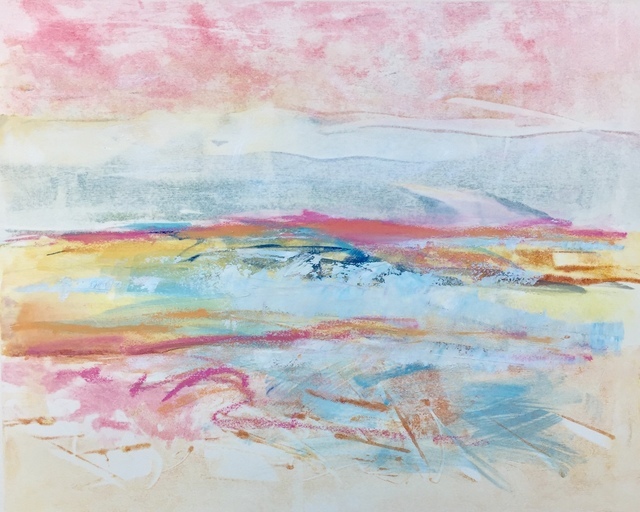 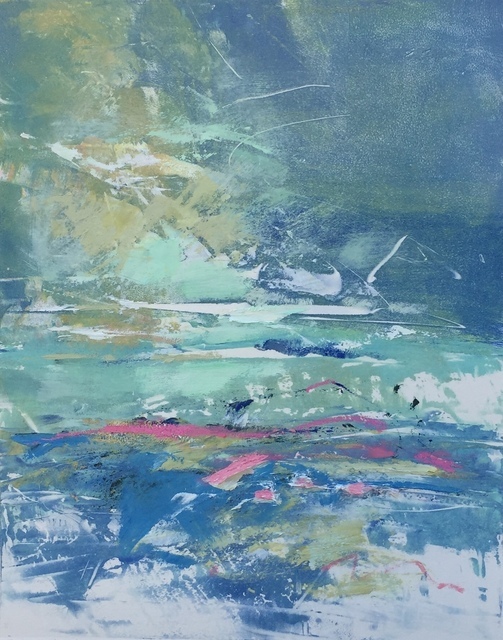 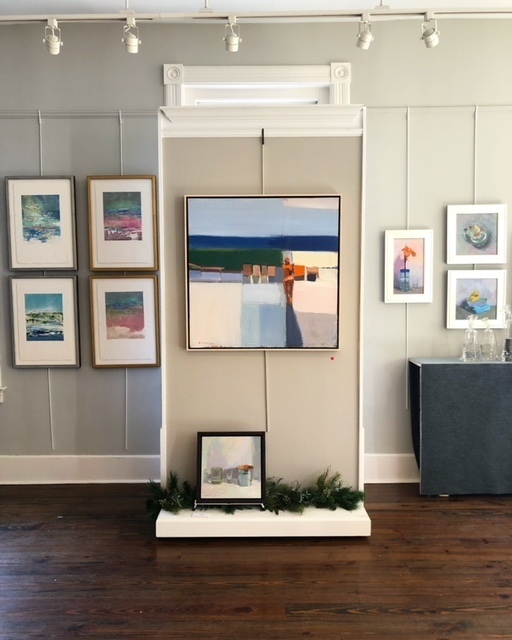 Seascapes captured with oil, abstract paintings influenced by the movement of liquid, portraits of water and its various containers, and more will be featured in this multi-media group exhibition. 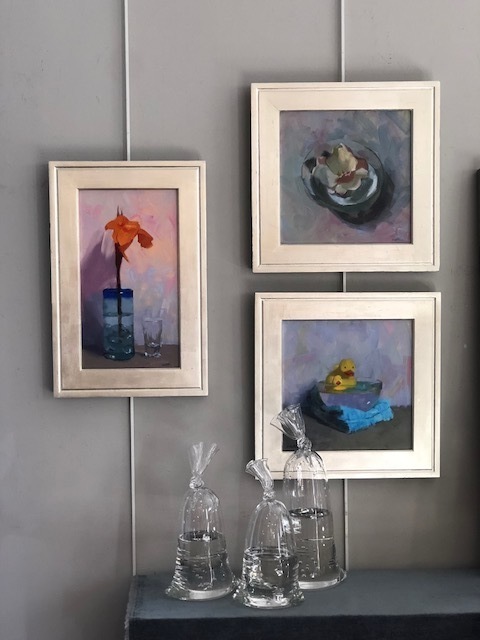 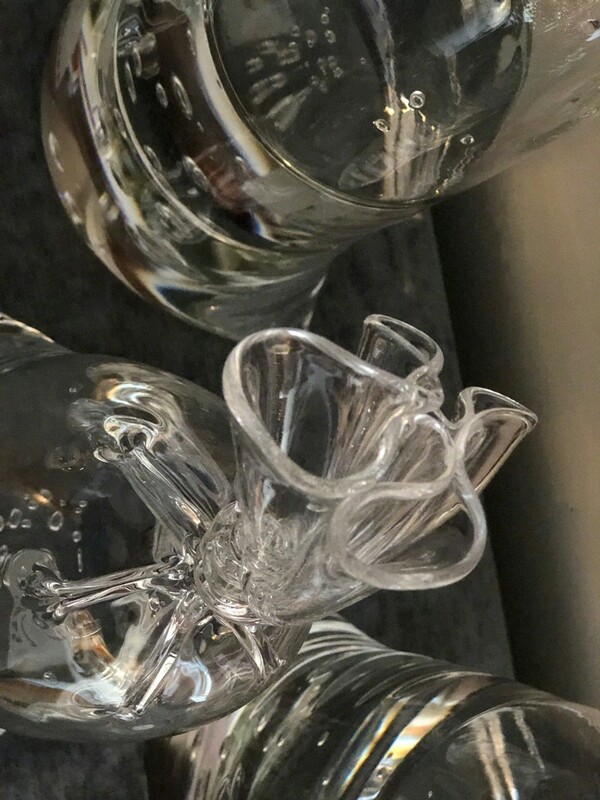 Artists include Laurie Meyer, Sandy Ostrau, Diane Eugster, and Susan Colwell, in addition to 3D glass artist Dylan Martinez.